There will be up to six mid-rise buildings, with the first building – a seven-storey, 160,000-sq-ft complex – at 565 Great Northern Way set to reach completion this spring. 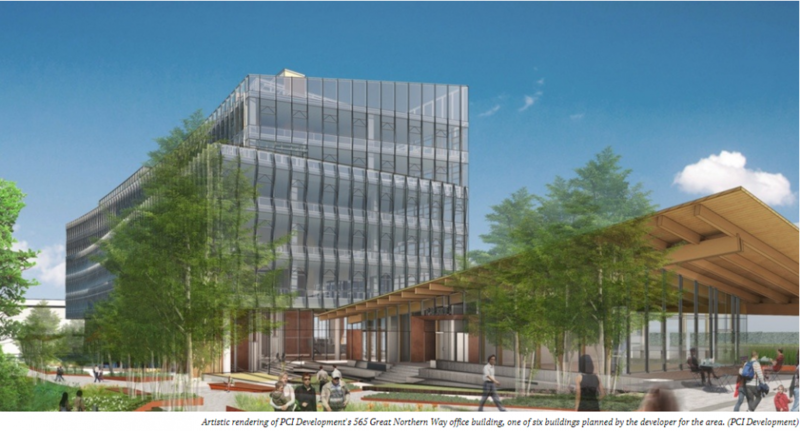 Then next year, work will shift to renovating a 164,000-sq-ft laboratory research building at 887 Great Northern Way, which was the former location of QLT Pharmaceuticals. 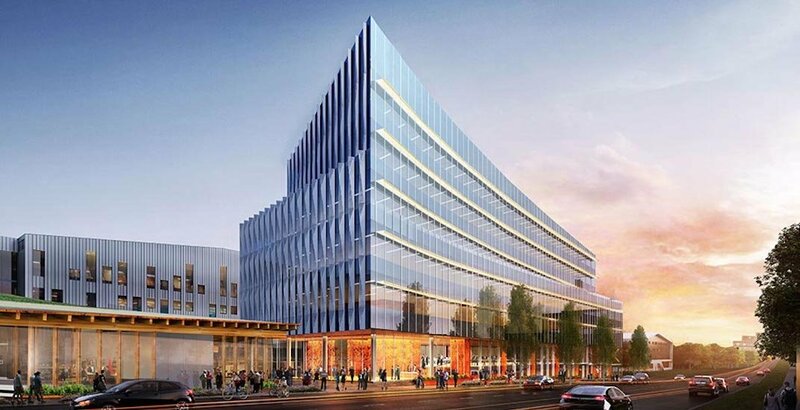 By 2020, the developer plans to commence construction on a significant, new 400,000-sq-ft office building at 901 Great Northern Way, replacing an existing two-storey building wedged between the the QLT building and the MEC headquarters. The project’s final phase will start in the mid-2020s on three sites located at the corner of Thornton Street and Great Northern Way – right next to the Emily Carr University of Art and Design campus and the site of a future SkyTrain station of the Millennium Line extension to Arbutus. Demand for office space is projected to remain high for the foreseeable future largely due to the city’s rapidly growing tech industry. The office space vacancy rate in the city centre is currently the second lowest in the continent because of a lack of new-build supply. Grant says his company’s developments along Great Northern Way will act as an extension of the tech cluster already found in Mount Pleasant, with a focus on businesses in tech, digital media, and creative industries like apparel. For instance, the first building has attracted anchor tenants such as multinational giant Samsung, gaming firm Blackbird Interactive, co-working space company Spaces, and the global headquarters of heavy machinery distributor Finning International. The buildings will also offer large floor plates, which is something larger and more established tech companies value given their desire to find spaces that provide flexibility and room to expand as their head counts grow. Elsewhere in the city where tech businesses are clustered, additional density is relatively restricted in Mount Pleasant, and character and heritage buildings in Gastown and Yaletown have small floor plates and are usually far too challenging to redevelop. 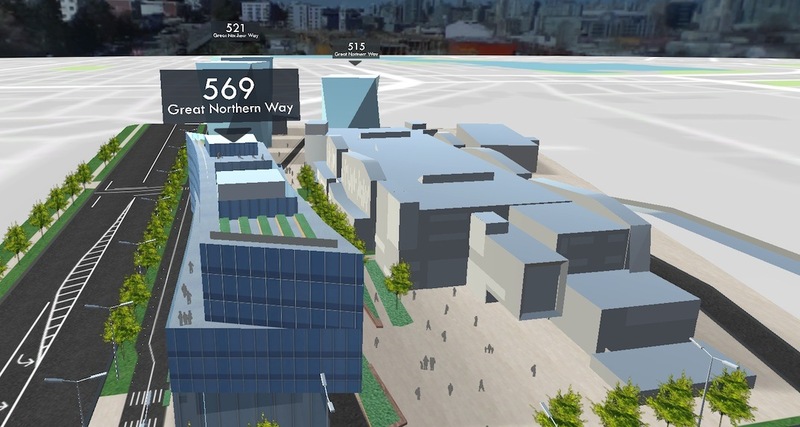 But with the Great Northern Way sites, along with other areas of the Flats, the potential for larger tech-oriented buildings holds, with the added benefit of being immediately next to SkyTrain and post-secondary institutions that specialize in creative industries and digital media. 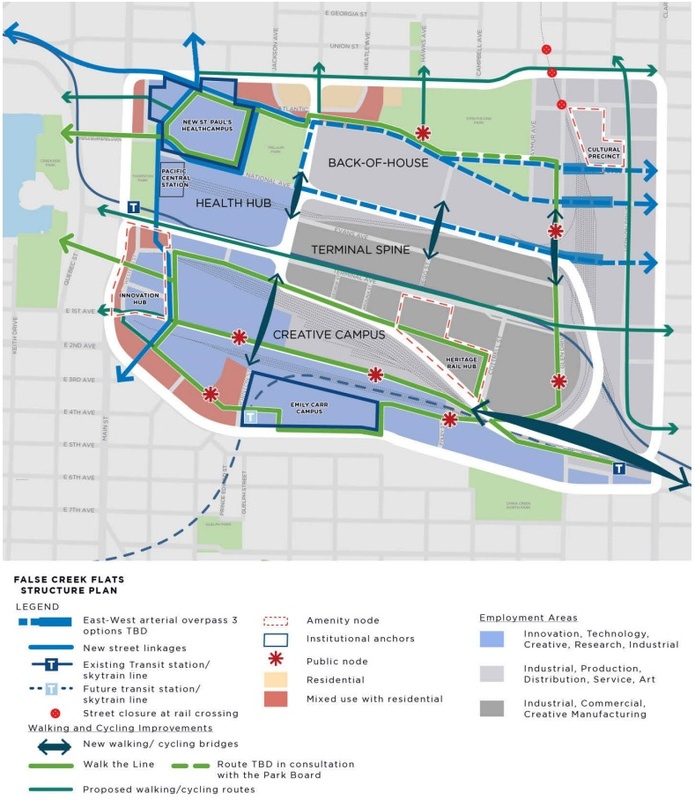 PCI’s plans align with the City of Vancouver’s recently approved False Creek Flats plan, which calls for the creation of spaces for 22,000 jobs – in healthcare and the creative and tech industries – and 3,000 residents.